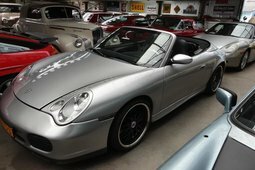 Very nice, original Porsche 996 GT3 with a demonstrable mileage of only 83.068 KM! Both exterior and interior in very good condition. 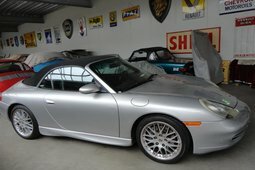 Well maintained at Porsche dealers and specialists in both the Netherlands and Germany. Technically, the GT3 was equipped with a famous '' Mezger engine '', this engine was completely different from the standard engine in the other 996 versions. Due to the use of important engine components from the air-cooled engines, the 3.6L GT3 engine has a considerably better reputation for reliability than the standard 996 engines. The 996 GT3 was the first street car produced by Porsche that reached the limit of 100 hp per liter. The original books and service history is present at the car. This GT3 is how you want a GT3: Original, well maintained and not abused on the circuit. A real enthusiastic car and classic game that will definitely increase in value! Porsche has APK, which is still valid until 11/09/2019.